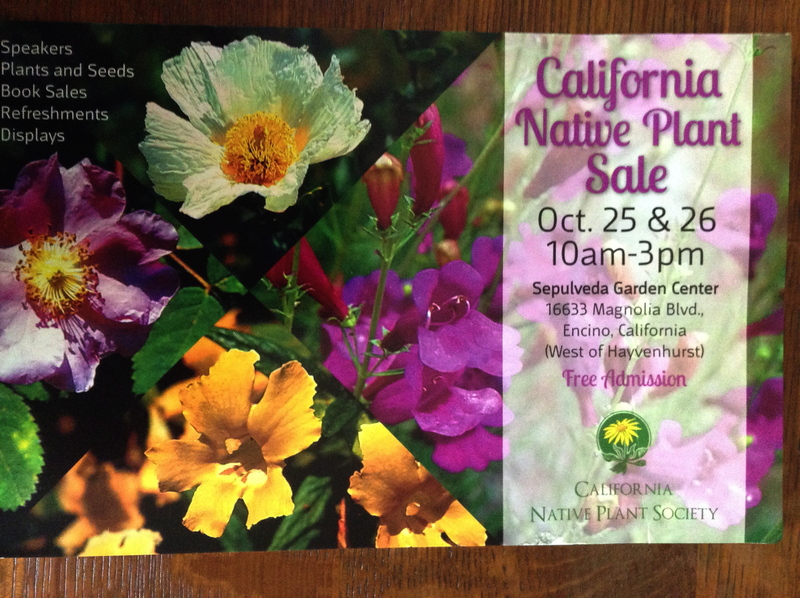 With our drought in full swing many of you are taking out those water-demanding lawns, and planting….NATIVES, of course! 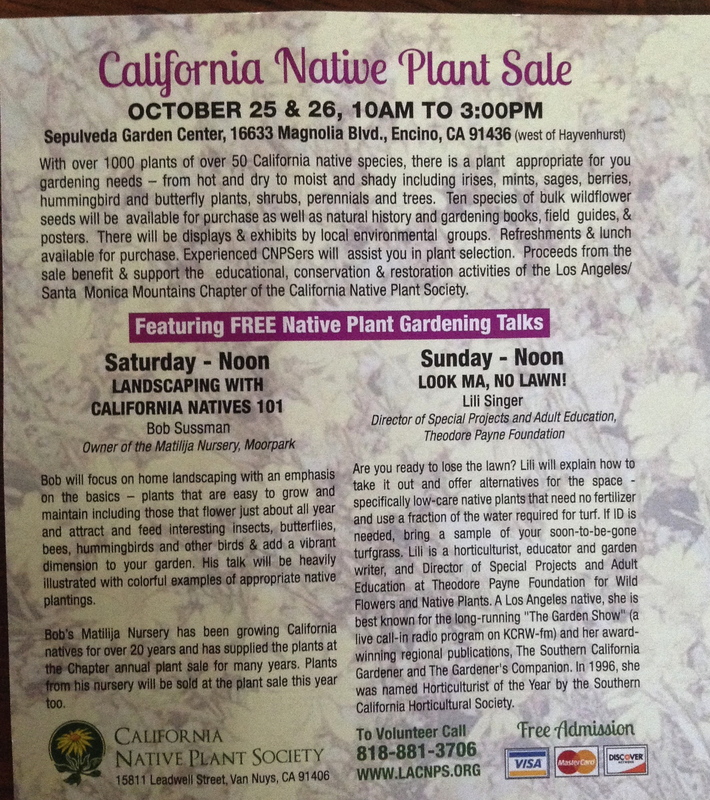 What a better way to get a quick education in the ways and means of California natives than to go to the Native Plant Society’s annual fall sale. Yes, October is the best planting month for these new friends. I just got the announcement, below. The line-up of speakers is enticing!